Time, when it’s all over, for the hockey players to stand to the fore. This year, it was Rio’s Olympics that’s giving way to the end of summer and a hockey World Cup pitting nation against nation against — well, of course, there’s a pair of continental teams, too, one of which is U23, so it’s a strangely asymmetrical tournament, a format that we’re still getting used to. Maybe we’ll even learn to love it. Forty years ago, it was the Montreal Olympics that a great Canadian novelist lauded as they ended in August. The hockey players in question that year were participants in a more traditional international tournament spread among six old-fashioned national teams in the inaugural Canada Cup. With all due respect to this year’s edition, Canada ’76 was loaded with talent and savvy and experience — and that’s just the braintrust. Montreal’s genius GM Sam Pollock was in charge of the whole operation, with Keith Allen as a principal aide and Toe Blake standing by as counsel. Then there was Pollock’s advisory committee of wise men: Jean Béliveau, Gordie Howe, and Syl Apps. Scotty Bowman was the first choice to coach, but he said no, at first: his Montreal Canadiens had just completed a successful Stanley Cup campaign, and his wife was pregnant with twins. There was a rumour that Fred Shero had agreed to the step up, but Pollock said he hadn’t, in fact, spoken to the coach of the Philadelphia Flyers. Picking a preliminary 31-man roster in June, Pollock selected 29 players from the NHL with three more drawn from WHA clubs. The coaches would trim the squad in August to 25, 20 of whom would dress for each tournament game. 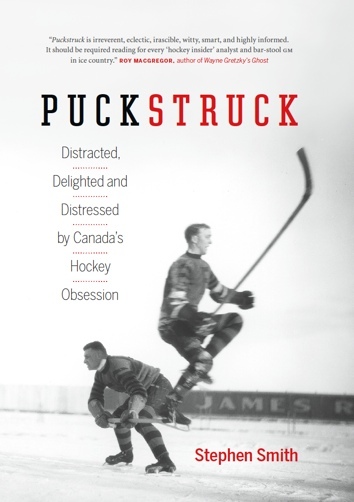 Injuries ruled out several significant players, including goaltenders Ken Dryden and Bernie Parent and defencemen Brad Park and Jim Schoenfeld. Even without the poorly, it was hard to see the Canadian roster as diminished, exactly. Gerry Cheevers, Glenn Resch, and Rogie Vachon were among the goaltenders summoned to report to a 23-day training camp in Montreal in August. Defencemen included Larry Robinson, Serge Savard, Denis Potvin, and Guy Lapointe. Guy Lafleur, Bob Gainey, and Reggie Leach were competing were jobs on the right wing, with Bill Barber, Bobby Hull, Bob Gainey, and Steve Shutt over on the left. At centre: Bobby Clarke, Darryl Sittler, Phil Esposito, Gil Perreault, Marcel Dionne, and Pete Mahovlich. In Montreal, the players moved into the Bonaventure Hotel. August 10 they headed for the ice for the first time at the Forum. Morning drills led to an afternoon scrimmage. In the evening, the team headed to Jarry Park to watch the Montreal Expos play ball with the San Francisco Giants. The next day, and for the rest of the camp, they started the morning with a three-mile run up Mount Royal. “It was easily the toughest training camp I’ve ever attended,” Dionne was saying by the time it was over. Phil Esposito was feeling renewed after the shock of the trade that had taken him from Boston to New York the previous November. “It affected me mentally,” he was saying, “and because of it I couldn’t function properly. It just devastated me.” But: he was ready now, he said. Don Cherry, for one, thought it showed. “Espo was showing the snap I hadn’t seen for a couple of years,” his former coach said after the team’s first workout. He was one of the vets from ’72, Espo. Savard, Lapointe, Clarke, and Mahovlich had played in the Summit Series, . That epic series was even fresher in the national mind, of course, than it is today, with coaches and players vowing that they wouldn’t be making the same mistakes they’d made back then. Arrogance wasn’t a word they were using: mostly what they mentioned were matters of conditioning and team unity. They wasn’t much joy, looking back. There was wariness, weariness , grim memories tinged at the edges by the unshakeable sense of just how near run a thing it had been. Even as he and his team readied this new challenge, Serge Savard talked to Montreal Gazette columnist Tim Burke about how very, very exhausted the Canadians were, four years earlier, how disarrayed, how downspirited, who knows what might have happened if they’d hadn’t left the country after the first four games. The Soviets, if they showed up, would be lacking in their line-up. Valeri Kharlamov was recovering for a summer car accident, Alexander Yakushev had a bad knee. Veteran Vladimirs, Petrov and Shadrin, weren’t coming, and nor was Boris Mikhailov. Goaltender Vladislav Tretiak was supposed to be staying home, too — to study for military exams, the word was. Esposito, for one, wasn’t fooled. “A psyche job,” he warned in August. Team Canada sent Tom Watt, coach of the University of Toronto, across the Atlantic to scout the Soviets and Swedes. “Objectively,” he said on his return, “I think Team Canada has the talent to win. But sometimes you find a kid with a high IQ doesn’t do very well in math. Performance and talent are always two different things. But maybe the Russians wouldn’t come at all — that was a possibility, for a while. 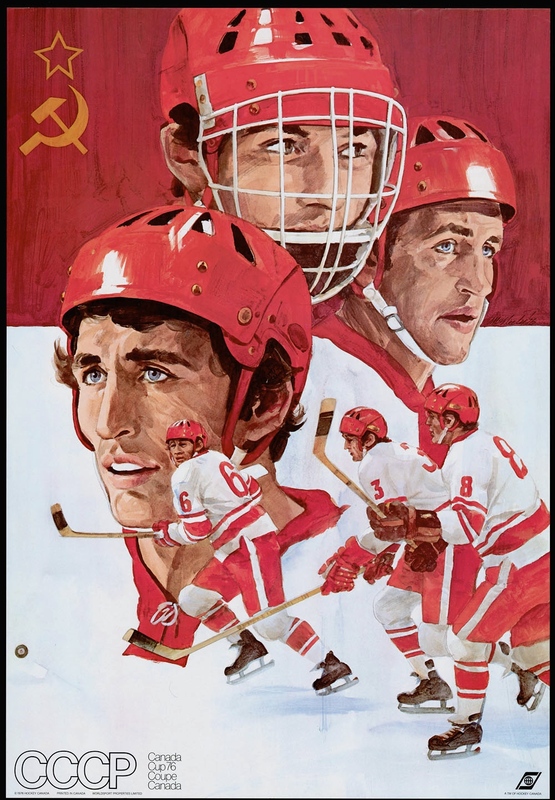 As the Olympics drew to a close in early August, the Soviet Olympic Committee was threatening both to pull out of the Game’s remaining events, and there was talk that the hockey team would stay home, too. A 17-year-old diver, Sergei Nemtsanov, had asked for and been granted asylum in Canada — defected — and the Soviets were livid. A Russian official charged that “a group of terrorists” had been roaming the Olympic Village, preying on Soviet athletes. Other press reports noted that young Sergei had an American diver as his girlfriend, and that this was all about her, though the girlfriend’s family released a statement to say firmly that she wasn’t Sergei’s girlfriend. Prime Minister Pierre Trudeau weighed in: he said it was up to the diver to decide what he wanted to do. Which he did: after a week or two in Toronto, concerned for his “aged and ailing grandmother,” he elected to go home. “We are going to learn many things about the strong and weak points of our new players when it comes to their compatibility with other players,” he computed. There was general official scoffing from the Soviets regarding the tournament’s significance: at best it was, they said, a tune-up for real tournaments to come. “World championships and Olympic competitions are the major and most important ones,” said Arkady Chernyshov, chairman of the coaches council of the Soviet Hockey Federation. John Mariucci, who’d coached the U.S. at the ’76 World Championships, felt that the Soviets were weak. They lacked in zest and spark: he picked Canada to win easily. Who else to watch? The Swedes were going to be good, according to a panel of pundits consulted by The Globe and Mail’s Don Ramsey. The team had been together and skating since July 1 and by the time the tournament got going they’d have nine exhibition games behind them. Former NHLer Billy Harris had coached the Tre Konor in 1972 and he was consulting for them this time around. They’d been out running, too, five to ten miles a day, he reported: they’d be 100 per cent fit. “The knee is no problem at all,” Orr declared after a Red/White intra-squad scrimmage to which, of course, the Gazette devoted a full 600-word game report. Esposito chalked up a goal and three assists. The narrative on him had shifted slightly: he’d started camp so slowly, the Gazette confided, that there were those who thought he was through for good. “I’ve never been what you’d call much of a practice player,” he said. “In fact, if you judged me on my practices I wouldn’t make the North American Hockey League. My problem is I like to have fun in practices. I’m the kind of guy that won’t do something if it isn’t fun. He scored a hattrick the next night when the teams met again: this time it was Canada 10, U.S.A. 3. Orr collected five assists. August came to its natural end. Time for Canada’s coaches to shave their roster, which they did by shedding goaltender Dan Bouchard, defencemen Dave Burrows and Paul Shmyr, forwards Jean Pronovost and Rene Robert. There was disappointment there, of course, a small spill of bitterness.